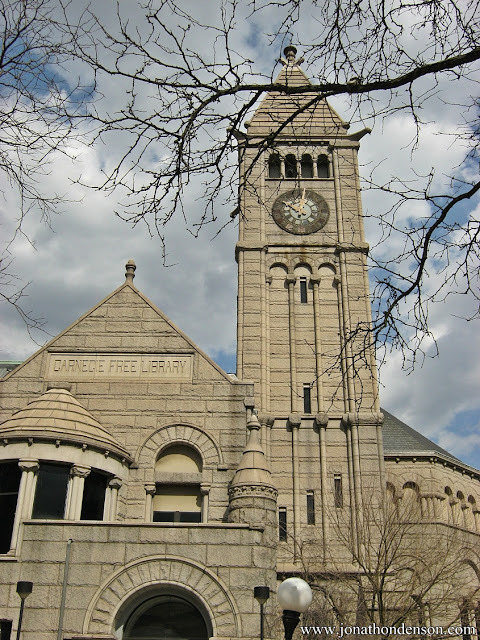 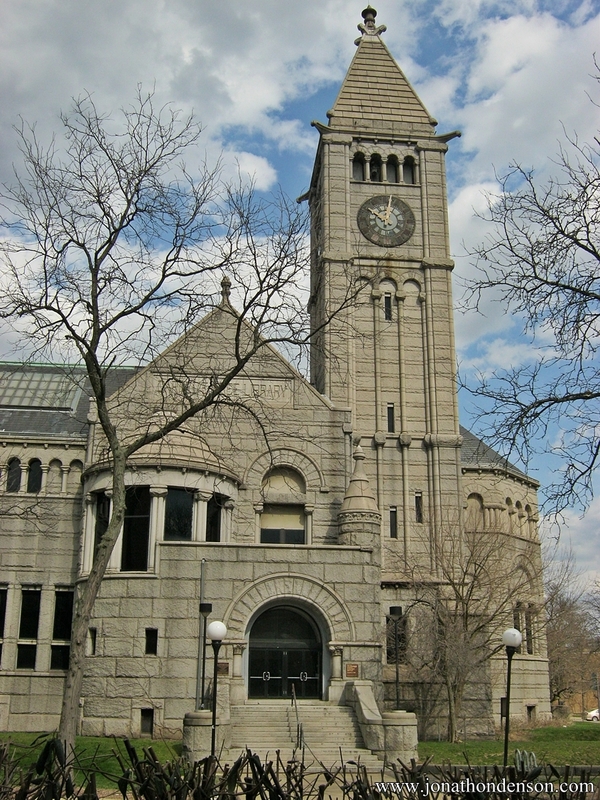 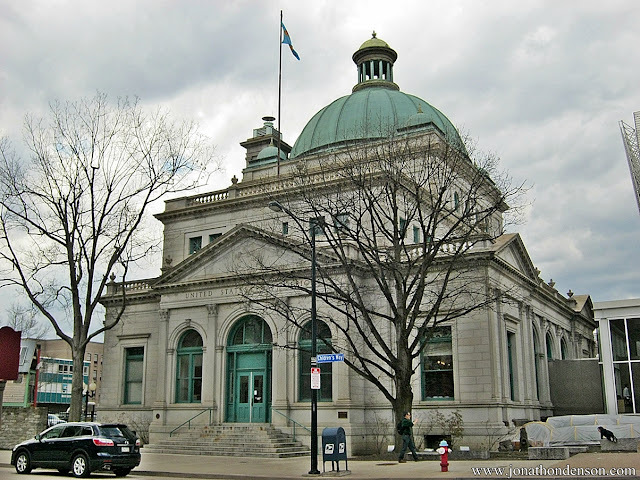 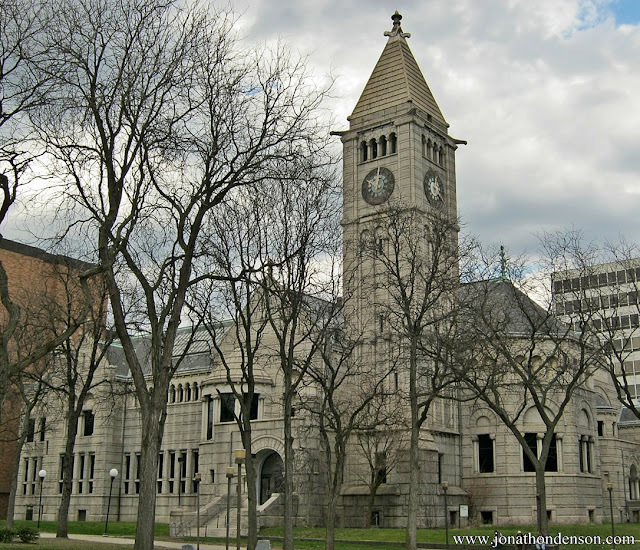 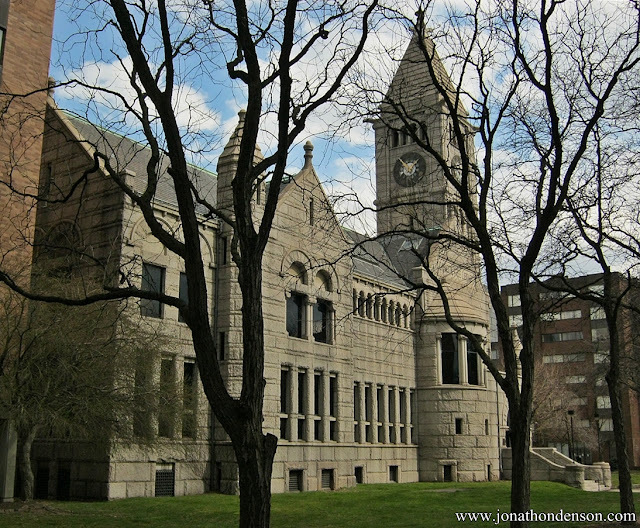 Surviving landmarks from the center of old Allegheny City, the Carnegie Library and Post Office were two of very few historic buildings spared the wrecking ball during the failed Allegheny Center mall urban renewal phase in the 1960s. As with other urban renewal projects of the day, the Allegheny Center redevelopment destroyed the urban downtown of Allegheny City (North Side) and replaced it with suburban-like buildings and green space. 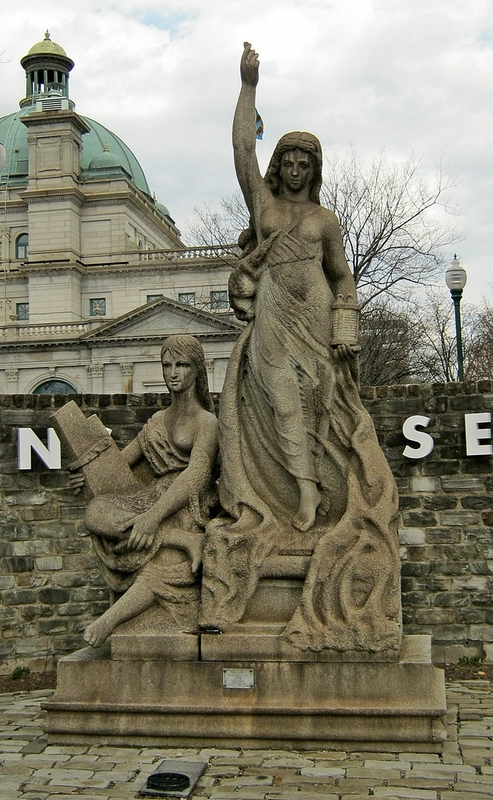 On display near the old Post Office is this statue, retrieved from the exterior of the old Fourth Avenue Post Office (downtown Pittsburgh), which was demolished in the 1960s for a parking garage. 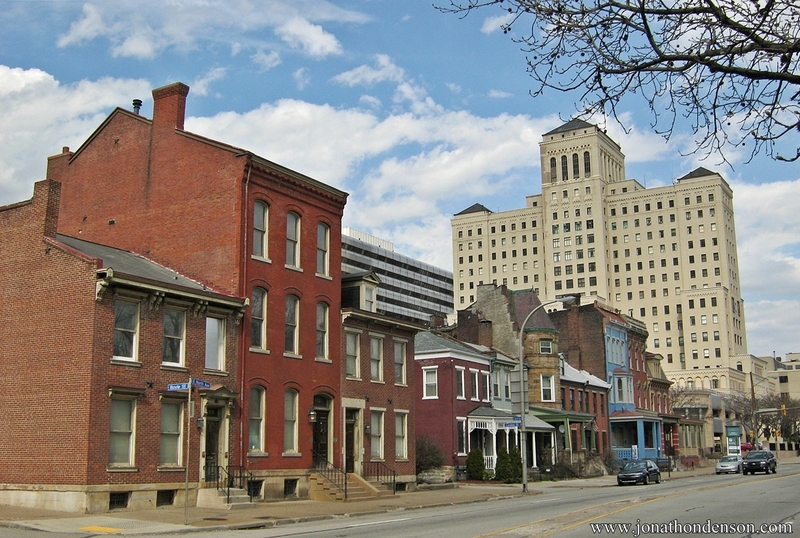 Historic homes on East North Avenue, facing the park and Allegheny Center.